Shock, Cardiac Arrest, and Resuscitation NEW! Mechanical Support of Cardiopulmonary Function: Extracorporeal Membrane Oxygenation, Ventricular Assist Devices, and the Intraaortic Balloon Pump Fluids NEW! Fluid, Electrolyte, and Endocrine Problems NEW! Immunology and Infectious Disorders NEW! Overview of Solid Organ Transplantation NEW! Fundamentals of Patient Safety and Quality Improvement NEW! 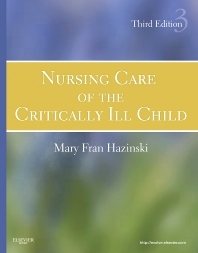 Ethical Issues in Pediatric Critical Care NEW!